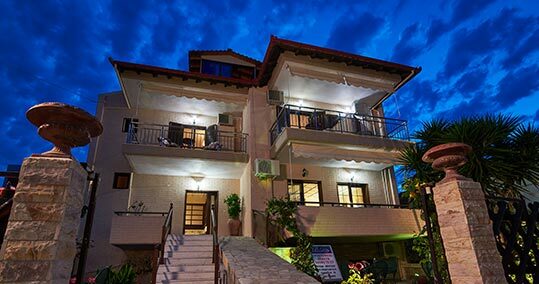 You find yourselves precisely in Sarti, the point where the visitor of Sithonia wishes to combine their roaming in the enchanting landscapes in combination with a comfortable, hospitable stay. Our family accommodation is just 50 meters away from the beach. Choose one of our Deluxe rooms and enjoy partial views of the Aegean Sea or The Palm. You can give a preference for either a king or two queen size beds. 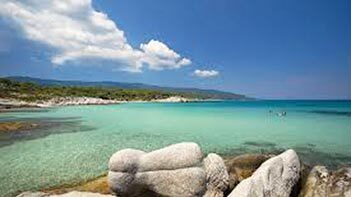 The facilities of the hotel are found 50 meters far from the beach, offering instant access to the central points of Sarti and to the enjoyment of its blue sea. Sarti is an ideal destination for holidays for those seeking a beautiful place to relax at around 140km from Thessaloniki. It is a crowded village. An affordable cute room by the beach. The owner was very friendly and kind and was more than happy to give me tips for the nightlife and the close by attractions. The best location - very close to the center and close enough to the better part of the beach (south). Enjoying garden views or partial views over the Aegean Sea, the romantic-style rooms and studios of Viky feature tiled floors and soft colours. 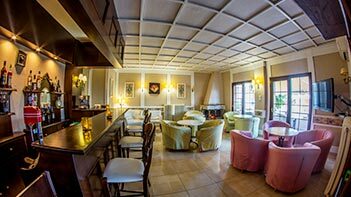 Just 50m from the sandy beach of Sarti in Chalkidiki, Hotel Viky features a bar with fireplace and an outdoor seating area. Surrounded by a fragrant garden, the property offers air-conditioned accommodation with free Wi-Fi. 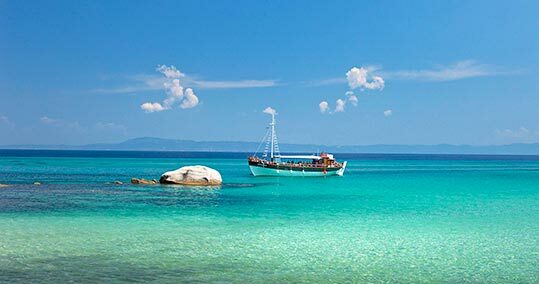 Sarti, the most beautiful east side of Sithonia with its infinite jagged coasts, the green and blue crystal clear water constitute a secret paradise which is waiting for you to discover it.